Frugal-Horn.com is a home of high-performance, low-cost (ie frugal) diy horn designs. The resurgence of interest in full range speakers has led to a renewed exploration of the rear-loaded horn. This coupled with a whole new generation of more advanced computer-based modeling tools have given designers more power to generate better designs. Frugal-Horn.com started in 2006 as a place to gather together a collection of some of the better diy horn enclosures. This update brings the entire 3 horn Frugel-Horn family & new Spawns to the site. 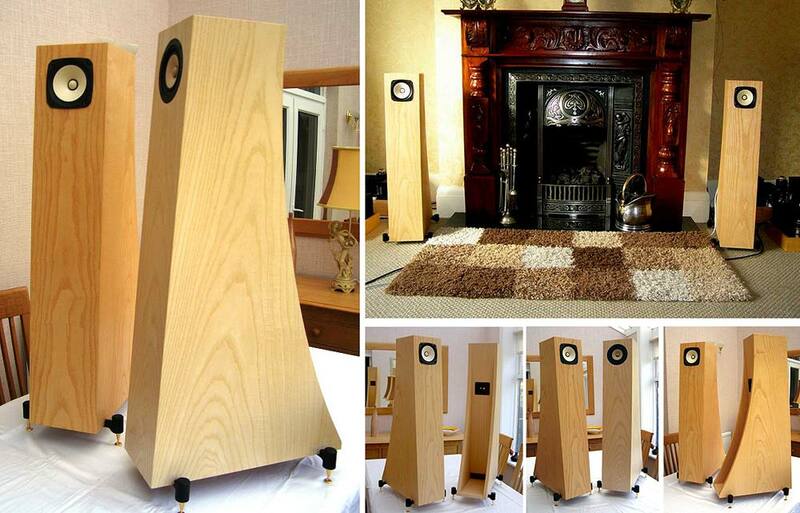 An estimated 1,000+ Frugel-Horn Mk3 have been built by the diy hifi community. FH3 been shown to work with a wide variety of drivers. The FH3 has been followed by a larger Frugel-Horn XL and smaller Frugel-Horn Lite. Independent cottage industry Flat-pak manufacture and bespoke finished Frugel-Horns has started up in Canada (North America), UK, Australia, & The Netherlands. More are being encouraged. A recent review of a commercial FH3 build/system. With Fostex doing a complete revision of their popular full-ranges, most of the Spawn of Frugel-Horn became obsolete. We now have a new set of Olson/Nagaoka Double Mouth Manifold Horns for the Fostex FExx6En series of drivers. 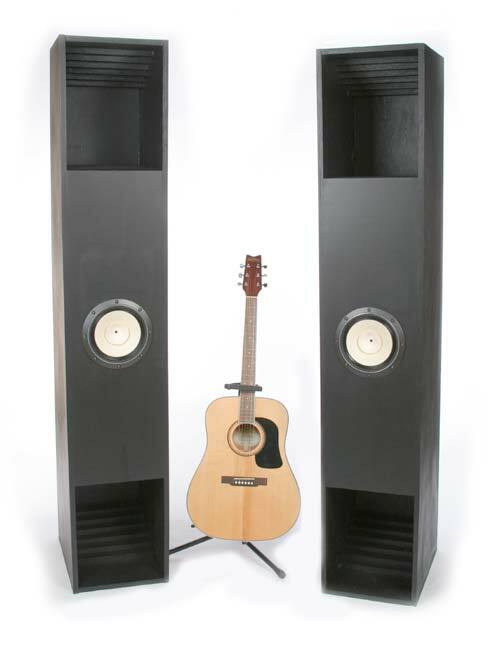 The new Fostex FFxx5wk series can be used in the old mBVR (Changs) but we are looking at optimising for these. Derek Sanderson's Sachiko's with Fostex FE206eS-R Rear/Back horns (RLH/BLH), with the rear of the driver loaded by a bass horn, help a full range driver produce more bass with less work, extending the range closer to the holy grail of 10 octave performance and providing startling dynamics. Horns are typically more complex to build, and are not without other problems, but a well-executed BLH can be a real aid to enjoying the music -- and in the end that is what it is all about. This site inspired by the unflagging support to the DIY community of people such as Greg Monfort, Terry Cain, Ron Clarke, Martin King, and the great number of DIY forums that have created a fertile place for the DIY community to gain the support & help of others around the world, and provide for the healthy cross-fertilization of ideas that is bringing about the renaissance and acceptance of people building their own HiFi. We hope that the builders add their own creativity and personality to their speakers.